No recipe card for your guy, stick him in front of the grill wearing our Custom Printed BBQ Apron and let the grilling begin. Fish, Chicken, Steak or Ribs are No Problem for your master griller. 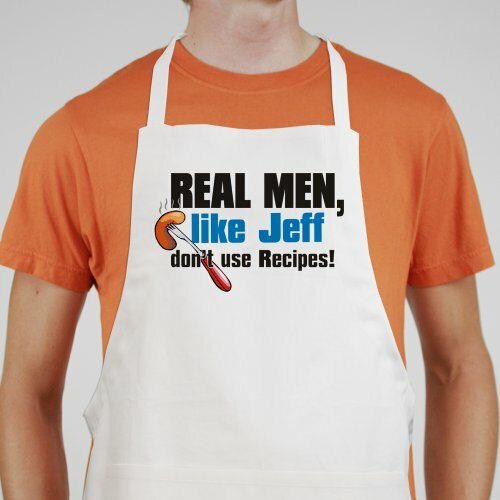 All Personalized Aprons make a handsome personalized gift for Father's Day, Grandparents Day or a special birthday. This personalized chef apron measures 20” Wide x 30” Tall and features multiple pockets for convenient storage along with an adjustable neck strap for a comfortable fit. Machine washable. Includes FREE Personalization! 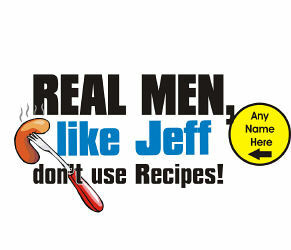 Personalize your BBQ Apron with any name. I will gladly give that to my husband whenhe returns home... It is awesome.